Do your feet, ankles, or heels hurt? Whatever the problem causing you pain, we can take care of it. 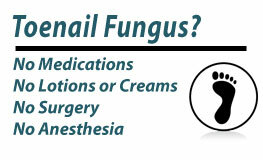 Suffering with a case of toenail fungus? 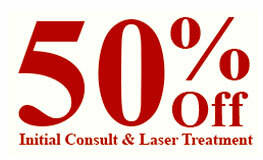 Our amazing new FDA-approved laser treatment is 95% successful! Tired of those unsightly veins? 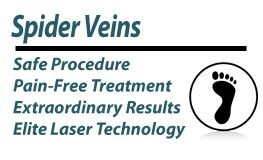 Our laser vein-removal procedures can have you looking great again. Say Goodbye to Your Foot Problems. It's so easy to take our feet for granted — when they are healthy. But when they're not? When they HURT? Not so easy. Let's face it. If you are suffering from heel pain or any problem of the foot or ankle, it can make every day a trial, if not a misery. And here at Plaza Podiatry we understand that. For 30 years we have been caring for patients on Long Island with every imaginable foot and ankle problem. And you can rest assured, we can help YOU with YOUR problems as well. And just recently it's gotten even better. 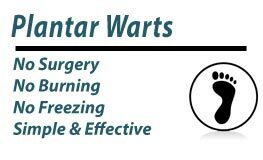 Not only have we moved into a gorgeous new office where you will be able to enjoy your visits all the more, but we have also acquired the industry-leading FDA-approved laser for the elimination of toenail fungus, warts, and even toe hair and spider veins. This means your feet are in even more capable hands than before, and if you set up an appointment today, we can have you feeling better about your feet in even more ways than you might have imagined. So call us today at 631-320-1990. Set up an appointment with one of our doctors. Let's make your foot problems a thing of the past, so you can get on with enjoying a life free from even having to think about your feet! Fall In Love With Your Feet and Legs Again. "We are extremely excited to offer the finest laser procedures with the highest clinical success rates we have ever seen. Our patients are going to love what we can now do for them." Copyright 2013 Plaza Podiatry. All Rights Reserved.